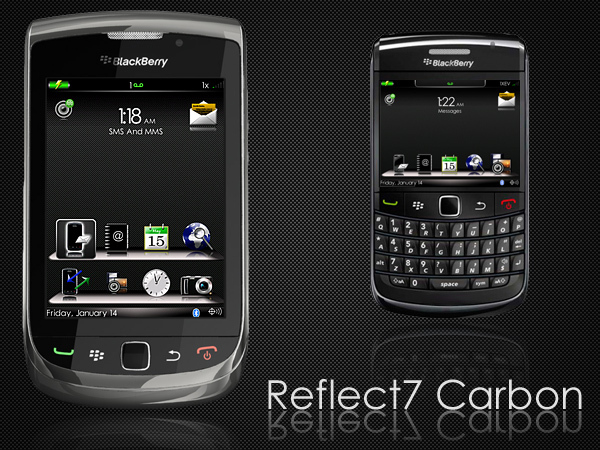 Contest: Win 1 of 50 free copies of !Reflect7 Carbon by AG Designs & Graphics! Andrew over at AG Designs & Graphics let us know that they just released an updated version of one of their best selling themes, !Reflect 7. All graphics were remade, newly created or highly optimized to cut down on theme size, increase visual appeal and, most importantly, improve performance. The resulting theme, called !Reflect7 Carbon, has all new cursors, dialog boxes, awesome buttons and improved phone/notification icons. Both touch screen and non-touch screen versions have a sliding dock along the bottom of the home screen. The non-touch version has 10 icon dock with hotspots and hotkeys for icons 11-15. Touch screen devices will have a dock that is customizable with either 4 or 8 icons, depending on how many rows you choose. Both versions have hotspots as well. !Reflect7 Carbon is an awesome looking theme as well as super functional, and I know you're going to want to check it out. You can pick this theme up regularly priced at $5.99 if you have a BlackBerry running OS 4.5-5.0 or a Torch on BB6. Contest: Andrew gave us 50 copies of !Reflect7 Carbon to offer up to all you theme junkies out there. You know the drill! Leave your comment below, only one per person please, and it all ends Sunday at Midnight PST! Hurry and get your comments in folks, you won't want to miss this one.